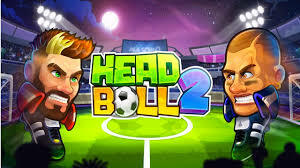 Head Ball 2 is a new, fun and entertaining sports game from the Tomaso Gaming Studio for Android. Upon your request , we have decided to introduce our latest update at the same time as our release, and put it to the download again. Hail to you! If you are a sports fan of the game, install on your Android device and join the thousands of online users, everyone in this community is supposed to prove their skills and be at the top of the scoreboard! 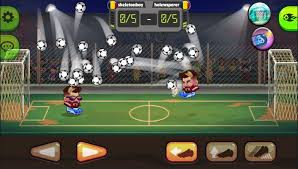 In Head Ball 2, you play and control the main character that a player is, and you have to improve your skills and make the difference as a dream player by doing different moves and scoring! There are 18 different skills in Head Ball 2 that you can open them one after the other and increase the power of the character! The Head Ball 2 button and touch controllers allow you to move and shoot fast; you must hit the ball at your top speed; your rival may come from anywhere in this planet, even from this beloved country. Iran [flagged by rival country!]. If you are looking for a fun game to fill your spare time, do not miss Head Ball 2.